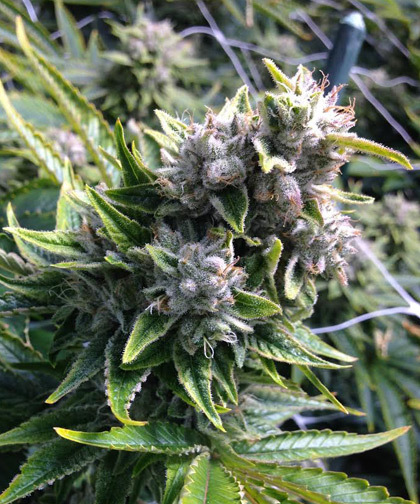 Gorilla Glue – (70% Indica. 20.96% THC) The Gorilla Glue is known to be an extremely sticky high THC strain. It has a lingering crisp pungent flavor. The effects creep up, are intense, long-lasting, and include euphoria, mood elevation, profound introspection and spontaneous laughter. From the Elev8 seed house, Gorilla Glue is a cross of Sour Dubb, Chem Sis, and Chocolate Diesel. 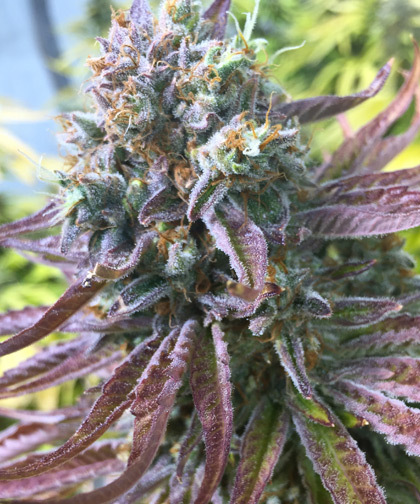 Big Bud – (90% Indica. 22.24% THC) This Indica dominant strain has a pungent citrus taste with a clean pine after taste. Big Bud provides intense fullbody relief and is ideal for patients with severe pain, depression, and PTSD. The genetics of this anxiety relieving strain include Afghani, Skunk#1, and Northern Lights.